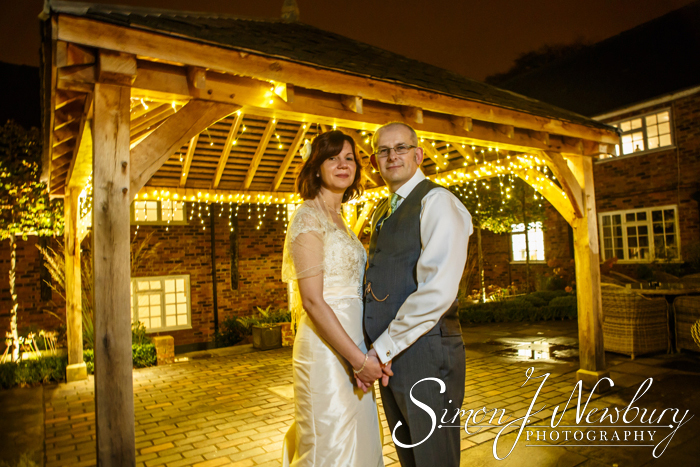 We had the very great pleasure of photographing the wedding of Anca and Ian at the wonderful surroundings of The Manor House Hotel in Alsager. Anca held her bridal preparations at the hotel and the ceremony was held in the Alsager Suite. After the ceremony we used the wonderful grounds of The Manor House for the couple photos and the family and friends photos before it was back inside for the wedding breakfast and speeches. Later in the evening we made use of the pagoda, now illuminated with fairy lights for some lovely dreamy evening photos just before the beautiful cake was cut and the first dance took place. As always the images were ready for the Bride and Groom in just two weeks!